Virtual reality hasn’t been with us consumers for long, but there are already quite a few devices to choose from. And that’s definitely a good thing. The likes of Oculus Rift and HTC Vive have dominated the VR space for quite a while now, and while they’ve come down in price drastically recently, they’re still not what we’d call affordable. Thankfully, other companies have started to notice the popularity and hype that virtual reality currently enjoys and have decided to offer more affordable PC VR headsets. One thing that bargain-hunters should know is that those dirt-cheap mobile headsets aren’t the affordable ones we’re talking about. They’re in a whole different category. They’re simply a couple of lenses enclosed in a shell. 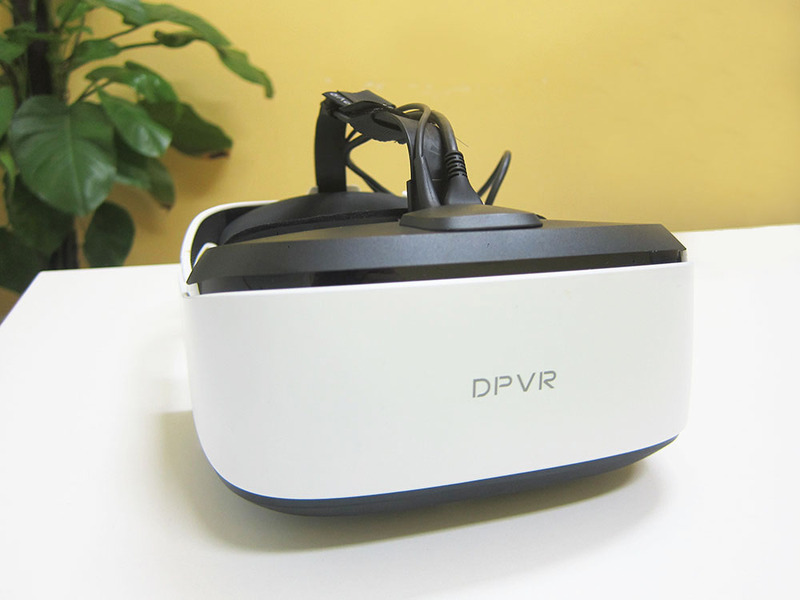 PC VR headsets have high-resolution displays built into them and come with sophisticated tracking hardware. That’s the major reason they’re priced so high. They’re simply too technologically advanced to be affordable. In this article, we’ll be taking a look at the more monetarily accessible options out there. While these headsets won’t provide the absolute cutting edge VR experience, they follow the same basic principles as the Oculus Rift and HTC Vive. Obviously, coming from little-known companies with a small budget, they aren’t as refined or as high quality, but they’re good enough for casual users. We’ve chosen the $300 mark as it currently sits a full $100 less than the Oculus Rift. That’s a fair bit of money that can go towards a better CPU or more crucially, a better graphics card. Since quality graphics matter a lot in VR, we reckon a cheaper VR headset paired with a powerful graphics card would be a fair compromise. 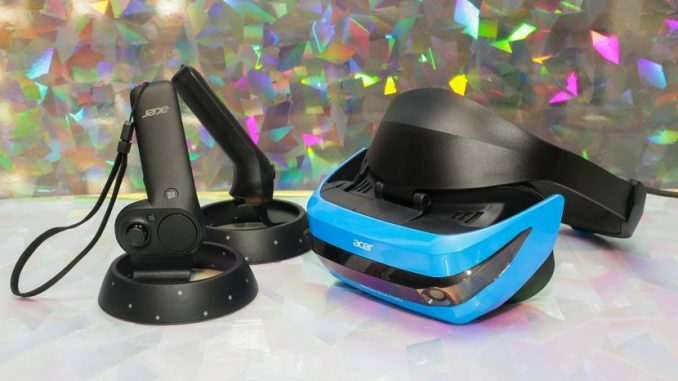 Even though the Acer AH101 costs slightly more than the $300 benchmark we’ve set for affordable VR headsets, we think it’s well worth looking into. It comes from a big name in computer hardware and has been designed around the VR blueprint laid out by Microsoft. The Acer AH101 holds a lot of potential as a gaming VR headset. It ticks the right boxes when it comes to raw hardware specifications. It sports two internal displays with a resolution of 1440×1440 pixels each, and the displays run at a comfortable 90Hz. Here, the Acer headset competes very well against the Oculus Rift and the HTC Vive, at least on paper. The 90Hz refresh rate is crucial as it provides assurance against a nauseating experience. Acer also states a 105-degree field of view, which is welcome news in budget VR headsets like these. Most cheap headsets have a narrow field of view, which can detract from the experience by showing you less than what your eyes would normally see in the real world. A wide field of view feels more natural and allows you to see more of the natural world. The design of the AH101 is a bit old-fashioned. The bold blue colour scheme is certainly eye-catching, but it doesn’t look very classy or restrained. The cameras placed at the extreme lengths of this device make it look odd. But that’s where the design niggles end. As a headset, it certainly fits very well. The head strap is quite comfortable and does a good job of holding the headset against your head. A neat design detail is that the headset is sort of like a visor, you can simply flip it back up if you want to deal with something in the world. This makes it a very convenient headset to use. The controllers bundled with the AH101 are pretty much the same design as other WMR controllers. They’ve been designed by Microsoft and Acer is simply in charge of the manufacturing process. The budget nature of this device shows through the controllers as well. They feel cheap. 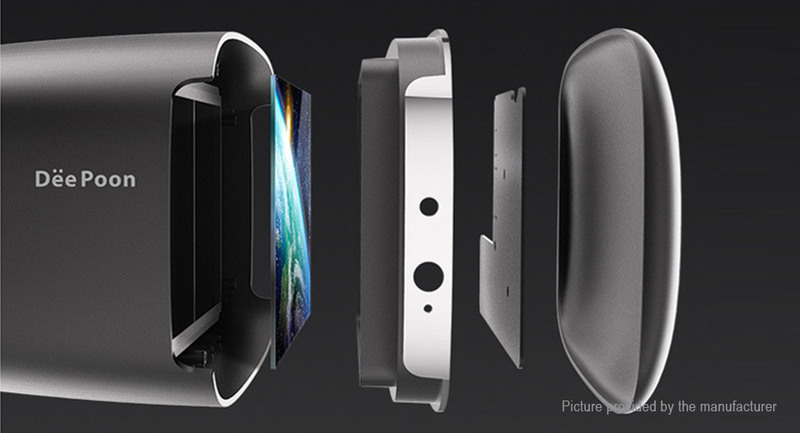 But they’re equipped with the impressive tracking LEDs and fit none-too-bad in your hand. These controllers are battery-powered, requiring two AA cells. The controllers do come with AA batteries so you can get started right away but they’re non-rechargeable. As the AH101 is a Windows Mixed Reality device, it gets access to all of the VR content on the Windows app store. The game content, to be honest, is quite limited at this point, and compares very poorly against the number of titles available for the HTC Vive and Oculus Rift. SteamVR support is on its way through, so owners of the AH101 need not despair. The Acer AH101 is not perfect by any means. Its tracking is inferior to the HTC Vive’s, and games support is severely lacking. But this is a new device so we’re willing to cut it some slack. It might be a few months until game support for the WMR platform starts to really come into play. Still, if you’re looking for a good quality VR headset at a budget price, the Acer AH101 is your best bet. The Deepon E2 is a VR headset from China that you’ve probably never heard of before. That’s fine though as on paper the Deepoon E2 has a lot going for it. It doesn’t sport the latest and greatest in VR technology but might suffice if you’re on a really tight budget and aching for a bit of VR action. The Deepon E2 is an interesting headset because it’s virtually a copy of the Oculus Rift Developer Kit 2, sans the positional tracking. The lack of positional tracking sets it back several years in terms of VR technology. It comes with a full HD screen, which you might find lacking but it’s the price you pay for a budget headset. The screen is a Samsung AMOLED unit though, so the quality isn’t terrible by any means. It is capable of displaying content at a 75Hz which is not ideal in VR terms, but depending on the person using it can be sufficient. One of the advantages of a lower resolution screen running at 75Hz is that is a budget PC friendly. You won’t need a monster gaming rig in order to get the best out of this headset, and that might be appealing to someone looking for VR gaming on a budget. The Deepoon E3B is an updated version of the Deepoon E2 and improves upon its older sibling by offering a higher resolution screen. We decided to include the older E2 model since it is more friendly to less powerful gaming PCs. But if your PC is able to handle high-resolution displays, the E3B makes more sense. If you are still looking to build a budget VR PC – check out our guide on how to build a budget VR gaming rig. The display inside the E3B is a Samsung AMOLED unit with a respectable 2560×1440 pixel resolution. It is said to be less harmful to your eyes than the LCD displays found in other budget headsets and that is certainly something to consider. The E3B also includes an adjustable headband which makes the headset comfortable to wear and is essential if you plan to use it in extended gaming sessions. We’re pleased by the number of quality VR headsets that are now available to VR enthusiasts. The Rift and HTC Vive and long dominated PC VR space, but that’s finally come to an end. Affordable headsets from China and Microsoft’s Mixed Reality platform are likely to force Oculus and HTC to reduce the prices of their own headsets even further. That said, the VR experience of these budget headsets certainly leaves a lot to be desired. Even accomplished companies like Acer haven’t been able to match the Rift or the Vive when it comes to VR. We recommend these headsets if you’re on a tight budget or if you cannot afford a better PC. However, if you’re prepared to wait for the best VR experience, we’ll still recommend the Oculus Rift as the best affordable way to VR gaming for now. If you are still deciding whether to go with desktop or maybe console VR, check out our picks for the best affordable VR headsets for gaming, where we analyze headsets such as PSVR, etc.